Bismarck, ND - Republican presidential contender Donald Trump said on Thursday that he would approve TransCanada’s Keystone XL pipeline proposal if elected, reversing a decision by the administration of President Barack Obama to block it over environmental concerns. 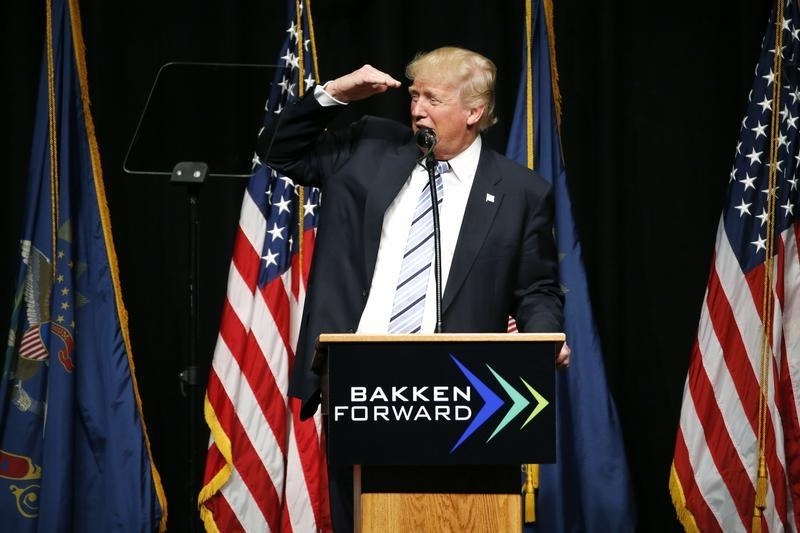 “I would absolutely approve it, 100 percent, but I would want a better deal,” Trump told reporters at a press conference in Bismarck, North Dakota, where he was scheduled to give a speech to an oil conference on the energy policies he would pursue if elected to the White House. The Obama administration’s decision to reject the Keystone XL pipeline last year was a huge symbolic victory for America’s environmental movement, which had campaigned for years against the project on the grounds that it would accelerate global warming. The debate over the pipeline created tension in the relationship between the United States and Canada, which had hoped the project would increase the capacity for Canadian oil sands exports to the U.S. market. A spokesman for TransCanada was not immediately available to comment. Trump said at the press conference that if elected he would also seek to reduce regulation on the energy industry to make drillers and coal companies more competitive. “I think the federal government should get out of the way. We have so much potential energy that people wouldn’t even believe it,” he said. The comments deepen the contrast between Trump and his Democratic rivals Hillary Clinton and Bernie Sanders, both of whom advocate a sharp turn toward renewable energy technology as a way to combat climate change. “Bernie is going to ban fracking. Hillary is going to ban fracking,” Trump said at the press conference, flanked by oil baron Harold Hamm, the chief executive of shale oil producer Continental Resources. “You do that and we’re going to be back into the Middle East and we’re going to be begging for oil again. That’s not going to happen, not with me,” he said. He wants the profits from whose oil? The pipeline only helps Canada send oil to the Gulf of Mexico. Does little for USA. The environmental damage when it leaks. Alaska has had the pipeline for years, and years, and years and it has not destroyed the environment. ( the mouse travel under it) When the pipeline is built there are precautions put into place on the pipeline to warn of impending problem. Without that pipeline America would not be as oil rich as we are.